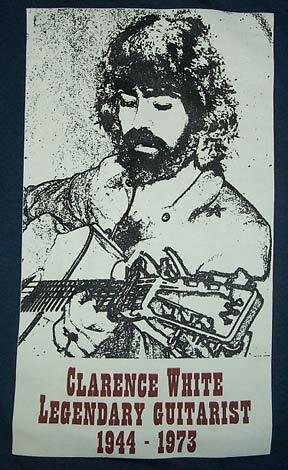 I am proud to offer a Clarence White shirt in conjunction with his daughter Michelle. 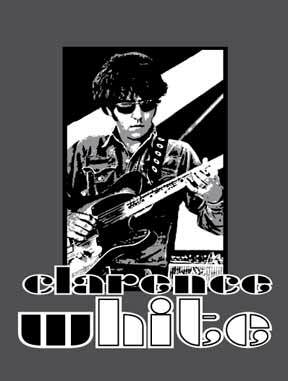 The artwork is 6 inches across on a Hanes Heavyweight, smoke gray, short sleeved shirt. This design is 10" tall, printed on a 100% cotton, dusk blue Gildan shirt with water based ink that will all feel as soft as the shirt once it is washed! T shirts are short-sleeved Hanes Beefy T's, 100% cotton, preshrunk, but they will shrink just a bit more with several washings.